The color is garnet and the wine is still showing its youth. The nose slowly evolves with clove and vanilla with jammy red fruit emerging as the wine opens up. 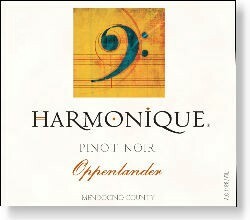 The flavors are very forward and contain the typical Pinot Noir red cherry with a hint of raspberry. Behind the fruit are found root beer, cloves, vanilla and a touch of orange zest. The finish is long and robust with a structure that suggests another 4 to 8 years of reward.